Be The Envy of Your Friends This Year With These Five Baseball Apps! Posted March 21st, 2012 by a_russell & filed under Bodacious News. Ah, March. When it comes to March, people tend to think of late snow and violent rainstorms, St. Patrick’s Day, and the promise of a new season lingering in the air. For others, the promise of a different season permeates the air in March – baseball season. 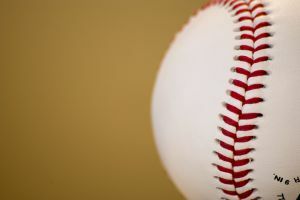 Spring training for professional baseball teams has already begun, and teams are warming up their throwing arms, readying themselves for a whole new season. Starting on Wednesday, March 28, the real fun will really begin, and baseball teams across the nation will begin facing off. What better way to prepare yourself for the upcoming season than by investing in some great MLB apps for your smartphone? Check out the following 5 apps for some great ideas on how you can keep up with your favorite teams this season! ESPN Fantasy Baseball 2011 (free)– Many people are already getting together their fantasy baseball teams for the 2012 season, trying to figure out which players to keep on their team to give them victory. As they say, there’s an app for that! ESPN Fantasy Baseball 2011 lets you trade players throughout the baseball season! You can make impromptu lineup changes and manage your team wherever you are! You only need to sign up for an ESPN Fantasy Baseball account in order to access all the different features of the app, and you’re good to go. EvriThing Baseball (free) – Whether you’re a rookie or an expert at baseball, you can always learn something new every day. That’s where EvriThing Baseball steps in! This free app houses a plethora of thorough information about all things baseball, taking news from sources all over the country. You can keep track of teams’ standings, injuries, free agencies, and much more! It also features dedicated channels for each MLB team so that you are able to locate the ones that matter to you the most. You can even share the stories and news with your friends on Facebook and Twitter! Ballpark Envi ($0.99) – Whenever we think about the MLB, we tend to think about the teams, the players, and maybe even the managers. But what about the stadiums and cities that these teams play in? Ballpark Envi gives in-depth previews of all the team stadiums in the league by using pictures and information on the stadiums. While you can check out pictures of the stadiums, you can also take a visual tour of whichever stadium you wish to visit. You can even learn a bit of history about the stadiums, and you can even access the seating charts, too! MLB.com At Bat 11 ($14.99) – Don’t let the price freak you out! This is one app that’s well worth the money for any die-hard baseball fan! MLB.com At Bat 11 is one of the most comprehensive sports apps there is out there; you can customize this app to track all of your favorite teams, and it can be your one and only resource for everything you want to know about the baseball season. You are able to access live-stream broadcasts of 150 spring training games through its free preview of MLB.tv, and you can easily access breaking news, audio/video broadcasts of regular season games, and of course, the stats of all of your favorite players and teams. There is also a free “light” version of this app, but be warned – it doesn’t include any live or archived audio and video broadcasts. SportsTap (free) – This app is good to have whether it’s baseball season, football season, basketball season, or even hockey season (then again, when ISN’T it hockey season?!). You can check the stats of any game you want to check out with just a touch of a button. The best thing? The stats are updated in REAL TIME! No longer do you have to wait and refresh over and over again to see if the score has changed! You can even designate specific teams and leagues you want to follow. When you log into SportsTap, your home scree will designate your favorite leagues and teams with red-circled numbers that show how many games are currently being played. Be sure to keep up with all the baseball info and stats this year with at least one of these apps! And be sure to keep a look out for the release of our Bodacious Case, which will be coming soon this year! Check out our Facebook page and Twitter page for more info!